This week during my weekly Facebook Live (by the way, did you know I do a Q&A every Wednesday? ), I was asked about what my daily routine is like. Where do I want to go, what do I want to create, and what is going to change where I am now to where I want to be in the future? Thinking in the margins made me realize that where I want to go in my business lies in setting my daily non-negotiables. For example, a priority for me is walking the dog with my husband. In fact, I have an extremely detailed morning routine that is all based on the non-negotiable priorities that I’ve set for myself. I quickly figured out that if I know what my priorities are (and set aside time for each of them!) then I would have the ability to end the work day on my terms. In order to determine your priorities, start by imagining exactly that you want for your life, day in and day out. Write out your dream day down to the minute, because although it sounds a little woo-woo, friend it is profoundly impactful. Start with this: when you wake up in the morning, who are you sleeping next to? What time is it, and what do you do in the first hour of the day? I knew I wanted to wake up and watch the sunrise every morning with JD and my dog, Polo. I knew I wanted to create and connect with people every single day. I wrote all of this down and you know what? It empowered me to say: If I want to watch the sunrise every day, what time do I need to wake up? If I want a green smoothie, how much produce do I need in the fridge? If I want to create and connect with people every day, how much time should I dedicate to Facebook Live? When you start planning with a simple goal like what is your dream day, that discipline will help you figure out how to execute on it. If you’d like to learn how I personally schedule my day and fill in the blanks while creating yours, be sure to grab my free productivity planner. 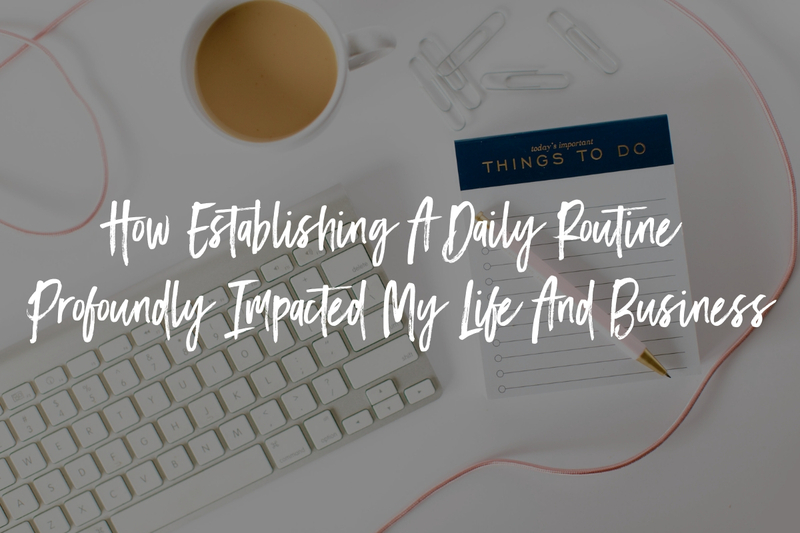 And in the meantime, watch the replay below of my weekly Facebook Live in which I tell you step-by-step my daily routine that has profoundly impacted my life and business. Now that you know about the club, I’ll see you live next Wednesday to answer your burning questions!